Just prior to the opening session of the Social Enterprise World Forum, join CCEDNet members and friends for an inspiring session of new contacts and new ideas from North American leaders working towards inclusive community economies. 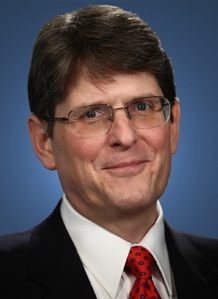 We’ll hear from Bob Massie, President and CEO of the New Economics Institute in Boston, who leads the New Economy Coalition, an initiative committed to building a nation-wide, grassroots movement for a just and sustainable economy. Bob will share insights into the growing New Economy movement in the US and strategies for transformative economic change. Over his career, Bob has created or led three ground-breaking sustainability organizations, serving as the president of Ceres (the largest coalition of investors and environmental groups in the United States), the co-founder and first chair of the Global Reporting Initiative, and the initiator of the Investor Network on Climate Risk, which currently has over 100 members with combined assets of over $10 trillion. Nancy Neamtan, President and CEO of the Chantier de l’économie sociale, Mike Lewis, Executive Director of the Canadian Centre for Community Renewal and co-author of The Resilience Imperative and Victoria Morris, Executive Director of the Saskatchewan Co-operative Association will respond with their perspectives on opportunities in the Canadian context. How to get to the Marriot: You can access the Marriot Hotel from the main level of the South Building of the Convention Centre. In this map, the Exhibition Hall in the North Building is where SEWF Activities will take place, and the circle in the South Building is the access to the Marriot Hotel. For participants who will join via livestreaming, networking activities will begin at 4:15 Mountain time (3:15 Pacific, 5:15 Central, 6:15pm Eastern, 7:15 Atlantic and 7:45 in Newfoundland), and the main presentations will begin 15 minutes later.